Winner competitive cheerleaders competed in the state A meet Friday in Brandon. 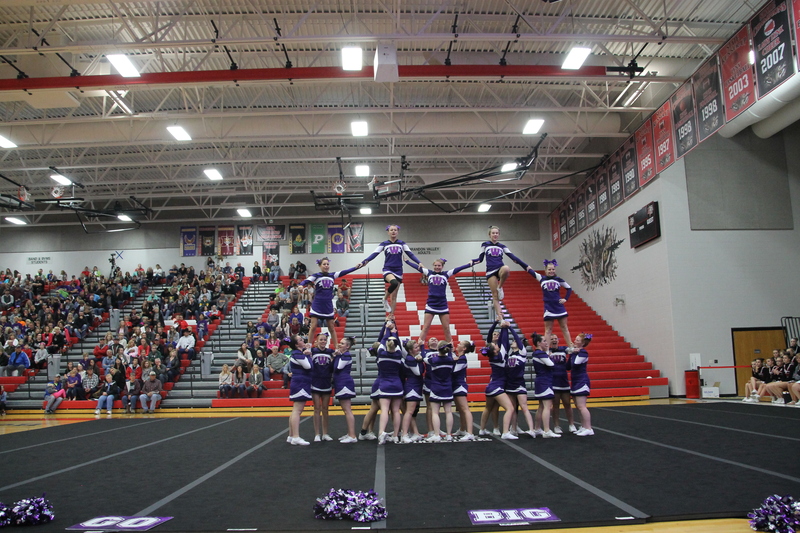 “The girls put on their best performance of the season and placed third in the large stunting/tumbling and took fifth overall out of 19 teams,” said coach Val Ewing. The top five teams were Sioux Valley, Dell Rapids, Platte-Geddes, Bon Homme and Winner.